From hair stylist to salon owner, beauty therapist to nail technician, we've got the salon supplies and equipment you need. Our huge hairdressing range includes hair clippers by Wahl and Andis, hairdressing scissors by Jaguar, Joewell, and Tondeo and electrical styling tools by DIVA, while our beauty supplies include products by Star Nails, Orly, Satin Smooth and Clean & Easy. With over 25 years' experience in the hair and beauty industry, as both stylists and salon owners, we pride ourselves on our equipment choice and knowledge, especially when it comes to hairdressing scissors, thinners and texturisers. (If you're new to hair cutting, read our Hair Scissor Guide to help you choose the pair of scissors most suited to you.) We couple this with an outstanding after-sales service and commitment to customer care because we understand the importance of quality equipment and a company you can rely on. As well as equipping individual hairdressers and beauticians, we have a full range of salon supplies and equipment (including salon furniture) and we supply several leading salon groups including Hob, Saks and Toni & Guy. We're also the preferred hairdressing equipment supplier to Trevor Sorbie. Additionally, we work closely with the National Hairdressers' Federation, the Freelance Hair and Beauty Federation and the Hairdressing and Beauty Suppliers' Association. We stock a wide range of beauty supplies covering essential items like cotton wool and couch rolls through to top branded waxing, tanning and nail products. We're constantly expanding our ranges and we keep a close check on prices to make sure that you get the best value. So whether you're a student kitting yourself out for college or a business needing a full salon refit, we can advise on and supply all your requirements. Top quality hairdressing equipment needs top quality care. Our bladesmiths see all too many high quality hairdressing scissors that have been ruined beyond repair by poorly trained sharpeners. Our scissor sharpening service looks after your investment and extends the life of your scissors and we can do the same for your clippers with our high quality hair clipper sharpening and servicing with genuine Wahl parts. With more and more people turning to a vegan lifestyle maybe it's time to introduce a vegan hair care range into your salon? 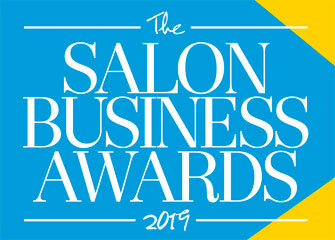 We are proud to sponsor the Male Grooming Salon of the Year award at the Salon Business Awards 2019!